Redox (portmanteau of reduction and oxidation) reactions include all chemical reactions in which atoms have their oxidation state changed; in general, redox reactions involve the transfer of electrons between species. Redox reactions, or oxidation-reduction reactions, have a number of similarities to acid–base reactions. Like acid–base reactions, redox reactions are a matched set, that is, there cannot be an oxidation reaction without a reduction reaction happening simultaneously. The oxidation alone and the reduction alone are each called a half-reaction, because two half-reactions always occur together to form a whole reaction. When writing half-reactions, the gained or lost electrons are typically included explicitly in order that the half-reaction be balanced with respect to electric charge. Though sufficient for many purposes, these descriptions are not precisely correct. Oxidation and reduction properly refer to a change in oxidation state — the actual transfer of electrons may never occur. Thus, oxidation is better defined as an increase in oxidation state, and reduction as a decrease in oxidation state. In practice, the transfer of electrons will always cause a change in oxidation state, but there are many reactions that are classed as "redox" even though no electron transfer occurs (such as those involving covalent bonds). 2) or the reduction of carbon by hydrogen to yield methane (CH4), and more complex processes such as the oxidation of glucose (C6H12O6) in the human body through a series of complex electron transfer processes. "Redox" is a portmanteau of "reduction" and "oxidation". The word oxidation originally implied reaction with oxygen to form an oxide, since dioxygen (O2 (g)) was historically the first recognized oxidizing agent. Later, the term was expanded to encompass oxygen-like substances that accomplished parallel chemical reactions. Ultimately, the meaning was generalized to include all processes involving loss of electrons. The word reduction originally referred to the loss in weight upon heating a metallic ore such as a metal oxide to extract the metal. In other words, ore was "reduced" to metal. Antoine Lavoisier (1743-1794) showed that this loss of weight was due to the loss of oxygen as a gas. Later, scientists realized that the metal atom gains electrons in this process. The meaning of reduction then became generalized to include all processes involving gain of electrons. Even though "reduction" seems counter-intuitive when speaking of the gain of electrons, it might help to think of reduction as the loss of oxygen, which was its historical meaning. The electrochemist John Bockris has used the words electronation and deelectronation to describe reduction and oxidation processes respectively when they occur at electrodes. These words are analogous to protonation and deprotonation, but they have not been widely adopted by chemists. The term "hydrogenation" could be used instead of reduction, since hydrogen is the reducing agent in a large number of reactions, especially in organic chemistry and biochemistry. But, unlike oxidation, which has been generalized beyond its root element, hydrogenation has maintained its specific connection to reactions that add hydrogen to another substance (e.g., the hydrogenation of unsaturated fats in saturated fats, R-CH=CH-R + H2 → R-CH2-CH2-R). In redox processes, the reductant transfers electrons to the oxidant. Thus, in the reaction, the reductant or reducing agent loses electrons and is oxidized, and the oxidant or oxidizing agent gains electrons and is reduced. 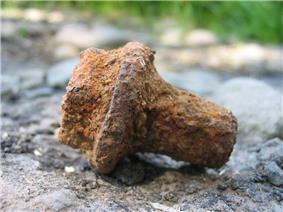 The pair of an oxidizing and reducing agent that are involved in a particular reaction is called a redox pair. A redox couple is a reducing species and its corresponding oxidized form, e.g., Fe2+/Fe3+. Substances that have the ability to oxidize other substances (cause them to lose electrons) are said to be oxidative or oxidizing and are known as oxidizing agents, oxidants, or oxidizers. That is, the oxidant (oxidizing agent) removes electrons from another substance, and is thus itself reduced. And, because it "accepts" electrons, the oxidizing agent is also called an electron acceptor, hence the name. Oxygen is the quintessential oxidizer. ), or else highly electronegative elements (O2, F2, Cl2, Br2) that can gain extra electrons by oxidizing another substance. Reductants in chemistry are very diverse. ^ a b c John O'M. Bockris and Amulya K. N. Reddy (1970). Modern Electrochemistry. Plenum Press. pp. 352–3. ^ Bozzola, J. J.; Russell, L. D. (1999). "Specimen Preparation for Transmission Electron Microscopy". Electron Microscopy : Principles and Techniques for Biologists. Sudbury, MA: Jones and Bartlett. pp. 21–31. ^ Di Scipio, F.; Raimondo, S.; Tos, P.; Geuna, S. (2008). "A simple protocol for paraffin-embedded myelin sheath staining with osmium(VIII) oxide for light microscope observation". Microscopy Research and Technique 71 (7): 497–502. ^ Kiernan, J. A. """Re: "Disposal" of Osmium Tetroxide "Waste. Department of Anatomy & Cell Biology, The University of Western Ontario. ^ Hawkins, J. M.; Meyer, A.; Lewis, T. A.; Loren, S.; Hollander, F. J. (1991). "Crystal Structure of Osmylated C60: Confirmation of the Soccer Ball Framework". ^ "Chemical 'bomb plot' in UK foiled". ^ R.H.Petrucci, W.S.Harwood and F.G.Herring (2002). General Chemistry (8th ed.). Prentice-Hall. p. 832. ^ Bhattacharya, S. (2004-04-07). "Experts divided over poison bomb claim". 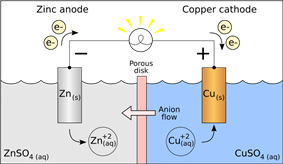 "RED CAT gains what AN OX loses" - Reduction occurs at the Cathode gains (electrons) what Anode Oxidation loses (electrons). "RED CAT" and "AN OX", or "AnOx RedCat" ("an ox-red cat"), — Reduction occurs at the Cathode and the Anode is for Oxidation. "OIL RIG"—Oxidation Is Loss of electrons, Reduction Is Gain of electrons. In acidic media, ions and water are added to half-reactions to balance the overall reaction. Examples of redox cycling-inducing molecules are the herbicide paraquat and other viologens and quinones such as menadione. A wide variety of aromatic compounds are enzymatically reduced to form free radicals that contain one more electron than their parent compounds. In general, the electron donor is any of a wide variety of flavoenzymes and their coenzymes. Once formed, these anion free radicals reduce molecular oxygen to superoxide, and regenerate the unchanged parent compound. The net reaction is the oxidation of the flavoenzyme's coenzymes and the reduction of molecular oxygen to form superoxide. This catalytic behavior has been described as futile cycle or redox cycling. 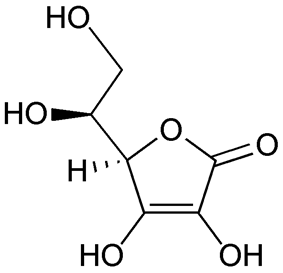 The term redox state is often used to describe the balance of lactate and pyruvate, beta-hydroxybutyrate, and acetoacetate), whose interconversion is dependent on these ratios. An abnormal redox state can develop in a variety of deleterious situations, such as hypoxia, shock, and sepsis. Redox mechanism also control some cellular processes. Redox proteins and their genes must be co-located for redox regulation according to the CoRR hypothesis for the function of DNA in mitochondria and chloroplasts. antioxidant. Unsatisfied free radicals can spur the mutation of cells they encounter and are, thus, causes of cancer. Biological energy is frequently stored and released by means of redox reactions. Photosynthesis involves the reduction of carbon dioxide into sugars and the oxidation of water into molecular oxygen. The reverse reaction, respiration, oxidizes sugars to produce carbon dioxide and water. As intermediate steps, the reduced carbon compounds are used to reduce nicotinamide adenine dinucleotide (NAD+), which then contributes to the creation of a proton gradient, which drives the synthesis of adenosine triphosphate (ATP) and is maintained by the reduction of oxygen. In animal cells, mitochondria perform similar functions. See the Membrane potential article. The production of compact discs depends on a redox reaction, which coats the disc with a thin layer of metal film. The process of electroplating uses redox reactions to coat objects with a thin layer of a material, as in chrome-plated automotive parts, silver plating cutlery, and gold-plated jewelry. Redox reactions are the foundation of electrochemical cells. The primary process of reducing ore at high temperature to produce metals is known as smelting. 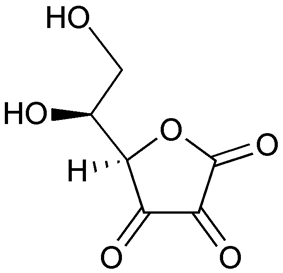 In alcohol, an aldehyde or a ketone, a carboxylic acid, and then a peroxide. The electrode potential of each half-reaction is also known as its reduction potential E0red, or potential when the half-reaction takes place at a cathode. The reduction potential is a measure of the tendency of the oxidizing agent to be reduced. Its value is zero for H+ + e− → ½ H2 by definition, positive for oxidizing agents stronger than H+ (e.g., +2.866 V for F2) and negative for oxidizing agents that are weaker than H+ (e.g., –0.763 V for Zn2+). Each half-reaction has a standard electrode potential (E0cell), which is equal to the potential difference (or voltage) (E0cell) at equilibrium under standard conditions of an electrochemical cell in which the cathode reaction is the half-reaction considered, and the anode is a standard hydrogen electrode where hydrogen is oxidized: ½ H2 → H+ + e-.